A big congratulations to our Provincial Team gymnasts for their success at the Provincial Qualifier held at Ridley College February 16-18. 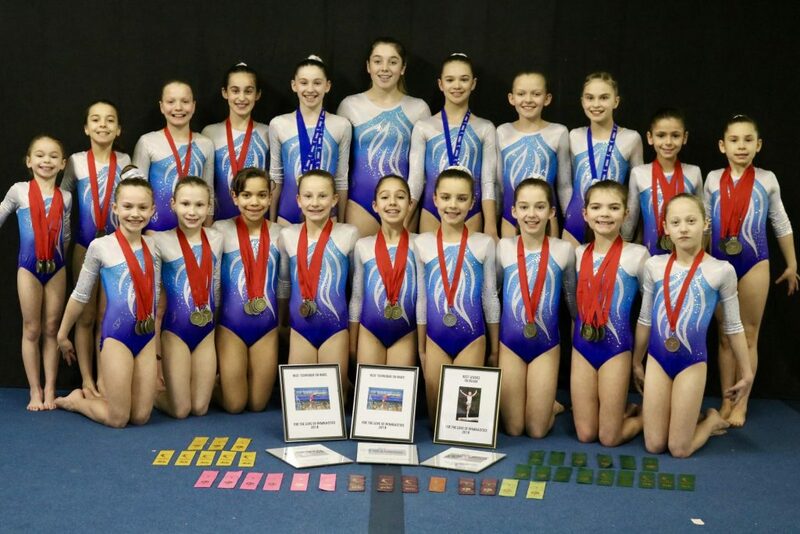 This was the third Provincial Qualifier for the Optional gymnasts in Levels 6 and 8 and the first Provincial Qualifier for the Compulsory gymnasts in Levels 3 and Level 4. The Provincial Team will compete this coming weekend (March 2-4) in Peterborough. This will be the second of four Qualifiers for the Compulsory Level 3 & 4 gymnasts and the final of four for the Optional Level 6 & 8 gymnasts. The Level 6 & 8 gymnasts who qualify in their categories will advance to the Ontario Provincial Championships in April.